A brief review of today’s socio-political reality reveals that problems are mounting in almost all aspects of civic life and general dissatisfaction is quickly spreading everywhere. Witness the Brexit and the ultra-polarized political election results in some countries of the Western Hemisphere. The economic front also conveys perplexity and frustration to all. Disruption and discontinuities drive some leaders to take unwise decisions that later not only haunt them personally but more significantly also their organizations that depend on their judgment and vision. For employees, these developments also present many challenges. In a recent article MIT professors E. Brynjolfsson and A. McAfee, together with M. Spence of NYU, a Nobel laureate in Economics, suggested that one of the key challenges in the future will be assuring an acceptable standard of living for the mass of people being squeezed out of the labor market by the forces of technology. Researchers at Oxford University estimate that in the future 45% of jobs in some countries will be computerized, drastically reducing the workforce. Scientists such as Stephen Hawking warned about the negative impact on social life that is likely to from the prevailing trend towards robots in the workplace, which will threaten jobs on a massive scale. At the same time huge numbers of immigrants pour into the more industrialized economies in search of better lives, although these countries are already under strain both socially and economically. An inevitable challenge for us all will be how we can confront these issues and work towards solutions, on an individual as well as an organizational level. Some people may place their faith in institutions (government and business organizations) hoping that they will come up with appropriate solutions. I believe this is not enough as institutional solutions given the numerous conflicts of interest and the highly polarized context in which they operate don’t’ really have a good track record implementing workable solutions. My preference is for a personal, entrepreneurial approach, one that places responsibility for well-being directly on the individual. No one can take the needs for subjective well-being (SWB) more seriously than the person herself- or himself. Hence, in this world increasingly characterized by high volatility, risk and uncertainty the question on most people’s minds is how to cope with this fast-moving transformative reality. One suitable avenue is by adding educational capital; research has demonstrated unambiguously that increased human capital via more formal education is an effective way of maintaining and enhancing personal value in the labour market. The question however is what kind of training is necessary in this type of environment. For people in organizational settings the traditional answer has been acquiring more functional and instrumental training (finance, marketing, and so on). Yet a careful analysis of this trend reveals that although these programs may initially prove to be helpful, it is quite uncertain whether they serve as a hedge in the job market in its current environment, especially for those who already have formal training in functional disciplines, given the huge volume of commoditized information and know-how available in the Internet. There are several reasons for this, two of which are important in this context: a) most of the ideas, methods, procedures and tools that are learned in functional training programs are today freely available to everyone, thus losing their prime specific value as almost anyone can access the same training. b) the other reason concerns the digitalization and dissemination of big data as information abound and become ubiquitous it loses their inimitability value because the same information is being looked at by a multitude of players. This makes the question above urgent: What kind of training do individuals and leaders really need in today’s postmodern context? It is my opinion that individuals and leaders will be required to develop specific inner abilities to help them navigate through these demanding times which are increasingly being defined as volatile, uncertain, complex and ambiguous (VUCA). 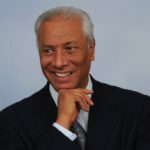 In this connection I see a great need for individuals to cultivate mental, emotional and behavioral qualities that allow them to make clear decisions during these turbulent times while maintaining a decent level of personal well-being for themselves and their social context (in work settings, family, etc.). For leaders in particular there is the need to cultivate an awareness that allows them to create real value for many, not only shareholder value but also value for clients with good, healthy products and services; value for their employees so that their jobs are protected and new jobs created; value for society by making appropriate fiscal, social and economic decisions. 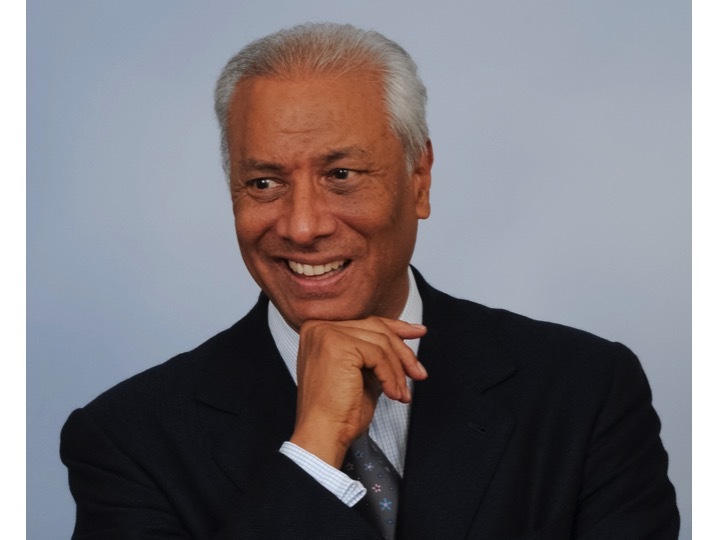 Therefore, the question how to cope in today’s environment is all the more pressing today: How can one develop personal competitive advantage to keep employability and relevance in these rapidly changing times? I don’t believe that investing time in acquiring more formal instrumental and tool-based knowledge is the answer, given that most of this type of knowledge is rapidly transferable into the large data bank that is the Internet where it is easily retrievable and ready to be used without even getting involved in the principles behind their applications, exactly in the same way as most people drive cars without knowing much about mechanical engineering. I really hope it becomes evident that it is an illusion to expect significant personal advantage from data and tools that are publicly available in the information market and in most cases free of charge. It is in this connection that MBSAT has been conceived as an advanced generation and unique training initiative with a curriculum beyond what is generally available in today’s marketplace for management education. Its content and methodology aim at allowing participants to develop and gain real competitive advantage by rediscovering who they are and open-up their potentials on the basis of “first person” experiences, meaning their own experiences as opposed to the generalized educational approaches based on second-person (teachers) experiences and third-person theories. In order words with MBSAT one is invited to answer the question “what can you become” which is a deeper inquiry into one’s self as opposed to the implicit question of most first-generation management programs that focus on “what can you do” (cash-flow analysis, marketing plans, organizational development projects, etc.). MBSAT as an awareness oriented program for internal transformation, is based on a process-oriented curriculum as oppose to an outcome-oriented program, although obviously there is the expectation to achieve desirable outcomes, such as better performance, higher levels of SWB, amongst others. Learning from MBSAT is a dynamic process that once set in motion enables strategic awareness. 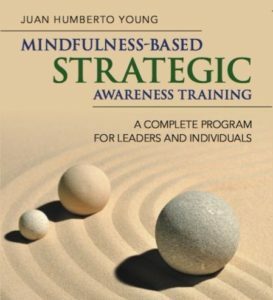 In his endorsement of my book “Mindfulness based Strategic Awareness Training: A Complete Program for Leaders and Individuals” (Wiley, 2017), my colleague Peter Huang, PhD and JD, an internationally renowned expert in positive approaches to law, writes: “The capacity of strategic awareness consists of mental lucidity, emotional clarity and bodily awareness which results in skilful decision-making.” And this is crucial, as D. Kahneman, Nobel prize winner in economics also says: “People are myopic in their decisions, may lack skill in predicting their future tastes, and can be led to erroneous choices by fallible memory and incorrect evaluation of past experiences”. With MBSAT you gain an interpretative competence, which is for me the ultimate competitive advantage. It is the component of strategic awareness that allows you – while sharing the same information and data like everybody else – to discern connections that others are not able to see and come up with personal, unique and creative solutions to issues you are confronting in your professional and personal life. 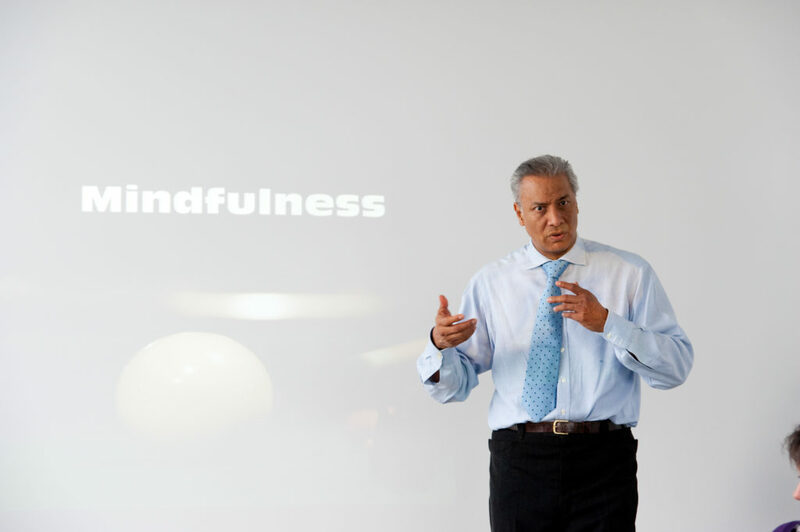 As such MBSAT can be conceived as a mindfulness-based training for improving individual decision skills to achieve authentic Subjective Well-Being for yourself and for those in your social contexts.